Pre season scouting party checking out tour venues in Cromer. 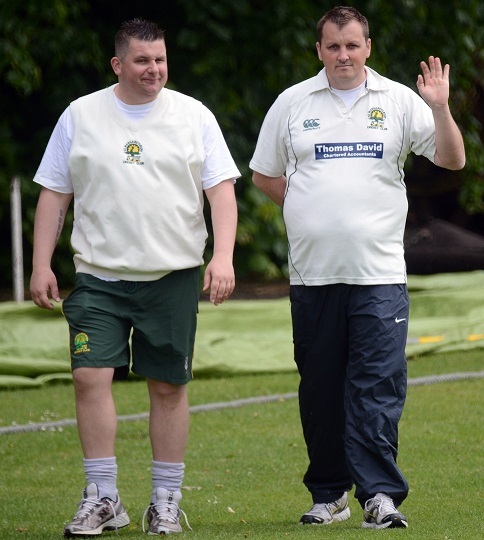 Batsmen Giles Tilbury and Mike Naylor discuss tactics on the way to June victory over Old Owens. 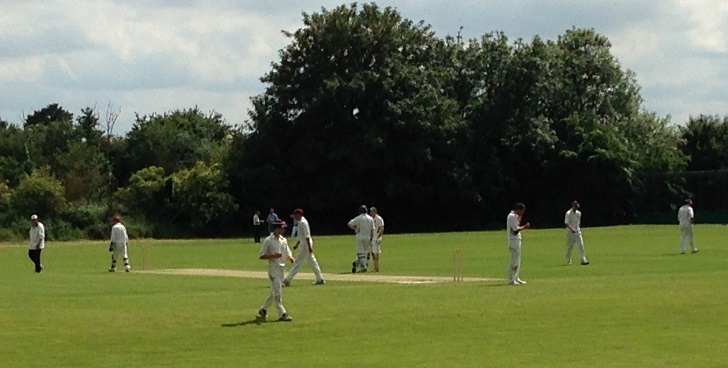 First XI regular openers - The Tilbury brothers, Giles and Simon - in mid wicket consultation. 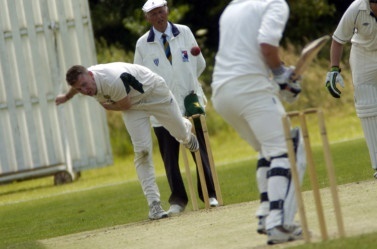 21st June - Mike Naylor in action against County Hall (won by 7wkts). Mr Vice-Chairman and Mr President on tour at Aldborough. Tour weather - sunshine and showers over the Black Boys at Aldborough. A tour legend training the apprentice - Timmo Anstead and Nick Sheffield. 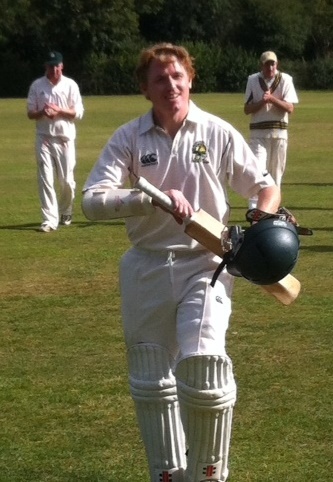 ... having `carried his bat` for his maiden league century. 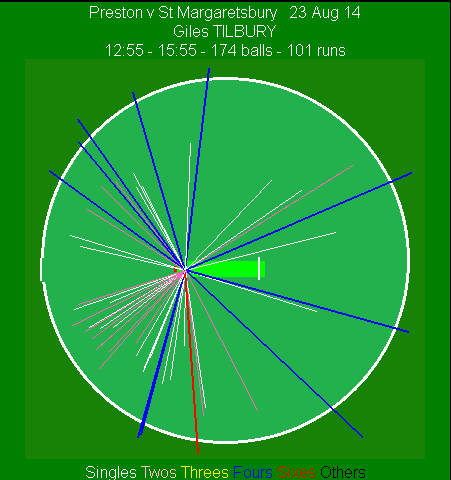 and this is how Giles did it - note the six ( behind his legs of course!). With two `6fers` in the last two home games Kevin Walls (aka Banger) was called a hero (and also a veteran) during the promotion pursuit. Last Game -Baldock bowled out for 72 - Promotion in sight - The Dog looking rather pensive as the Tilbury brothers secure a 10wkt win to ensure promotion. 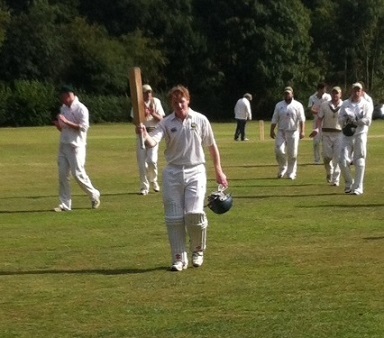 First XI celibrate promotion 6 Sept. 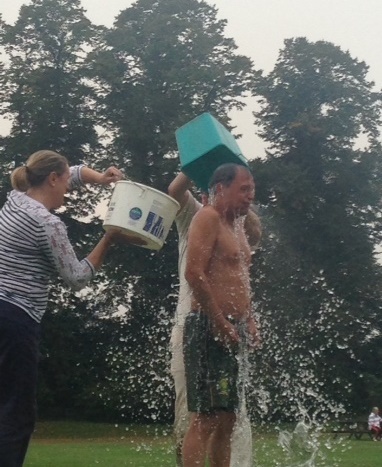 Promotion, and the captain decided it was time for an Ice Bucket challenge!. 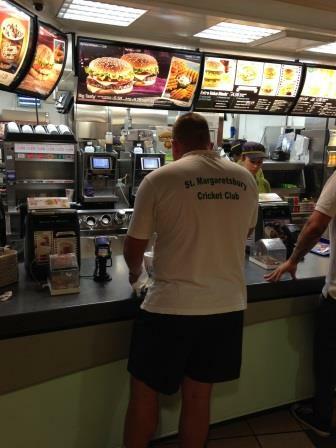 End of season quiz Guess Who is `Doing the maths` ?